Auer Steel hosts nearly 400 hours of in-person hands-on training with over 2,000 attendees each year. The multitude of training classes we offer are for technicians of all knowledge levels, as well as NATE and EPA 608 testing. Our technical support staff has over 75 years of training experience to bring to the table. With over 50 years as a training center, our Milwaukee location is our longest running training facility. We also host training classes at our Madison, and Neenah locations for our Wisconsin dealers. For our Northwest Wisconsin, Minnesota, and Fargo dealers we offer training at our Plymouth, Minnesota and Fargo, North Dakota locations. We take pride in providing the most current and contemporary training. Our goal is to provide meaningful industry training that meets the needs of our customers. We welcome and encourage customer input to ensure that we are offering the right training. Auer Steel is a proud partner with The North American Technical Excellence (NATE). NATE is the nation's largest non-profit certification organization for heating, ventilation, air conditioning and refrigeration technicians. NATE certification tests are developed by a committee of nationwide industry experts. The certification tests are meant to represent real world working knowledge of HVACR systems. For more information on the history of NATE, please click here . Auer Steel is also a NATE certified training and testing location. Below is a list of specialty certification tests offered at Auer Steel. Please see the training tab above to available testing dates and to see a list of NATE certified trainings. Are you looking to recertify your NATE specialty? Find out how to recertify by clicking here . For information on how to recertify using Continuing Education Hours (CEH) click here . Need a little more information before recertifying with CEHs click here . If your Specialty has expired and you do not have the required number of Continuing Education Hours, you will need to re-test. 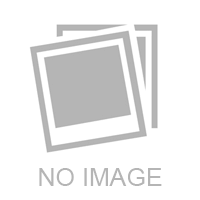 The Environment Protection Agency (EPA) require technicians as defined below to be 608 certified. Please note all technicians are required to pass the CORE test in addition to a type certification. This is done in the same testing period. For more information on the EPA 608 certification click here . 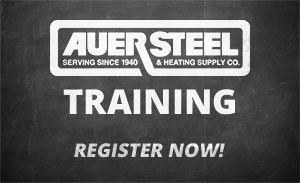 If you are interested in testing at an Auer Steel location, please see the Training section above for test dates. While we encourage customers to attend our trainings, all attendees must pre-register for the class in order for us to have an adequate amount of food and material, and to notify you of any cancellations or postponements . In order to accommodate everyone, we require that all registrants contact us by 3:00 p.m. the day before the training of any changes, i.e., cancellations or additions. Without proper notification, we can't guarantee that walk-in customers will have materials or food, or that attendees be informed of any changes unless this procedure is followed. Please note a minimum of $10 fee will be charged/invoiced if a 24-hour cancellation notice is not provided. Due to high demand for lab based trainings a 24-hour cancellation notice is required. If technician is a no show without a cancellation notice or if the notice doesn't meet the 24-hour requirement, the full price of the training will be charged. You may cancel your reservation up to one business day prior to the program and receive full refund of the course fee. Anyone who fails to attend without canceling will be liable for the total cost of the class fee. Substitutions will be accepted. If Auer Steel cancels the course, you will be refunded the full course fee. epted. If Auer Steel cancels the course, you will be refunded the full course fee. Upon registration and in advance of the program, your account will be billed the course fee. If your account is not in good standing or you do not have an account with Auer Steel we will ask you to please pay with cash, check, or credit card in advance. If Auer Steel cancels the course, you will be refunded the full course fee.